If you have managed to master the skills needed to cook in your RV, why not incorporate fresh flavors into your meals with your own herbs grown inside your RV. Herb gardens are compact and very easy to maintain and care for which makes them an ideal option for just about any type of mobile home. Avoid the types of herbs that may grow too large to keep in small containers. Some of the preferred smaller options will include marjoram, basil, chives, thyme, oregano and rosemary. Choose deeper pots that come with drainage holes situated at the bottom so that any excess water can easily drain away. Use a thin layer of tiny pebbles at the bottom and then add a good quality potting soil. From seeds to the point that they are ready to use in meals, growing herbs in your RV can take as little as 3 to 4 weeks. 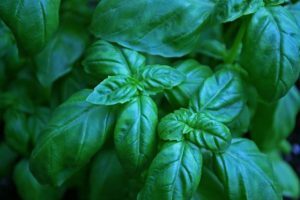 You must make sure that you give your herbs enough water and that they are able to receive adequate sunlight in order to enhance the growing processes. From time to time you can consider organic fertilizer to make sure the herbs are receiving all the nutrients that they need for growth. When you regularly prune the herbs you are growing you offer the plant with the best way to grow vigorously into hardy specimens. Remember that the more that you are able to prune the more your herbs will grow. To enjoy the most out of your herb garden make sure you frequently check on the soil and to ensure it does not dry out. Also try to ensure that your herbs are exposed to a minimum of 6 hours of sunlight every day. One of the benefits of a RV herb garden is that it can easily be transported between your normal residence and the RV home between camping trips. Fresh herbs are a fantastic way to enhance your cooking skills especially when you are away from home.